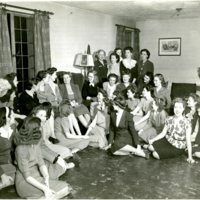 First Lady Eleanor Roosevelt attended class and spent the evening with the 34 women housed at AU in the Navy Department civilian workers program. 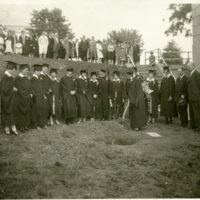 Professors and their families watching the first undergraduate class at The American University planting a tree beside Hurst Hall. 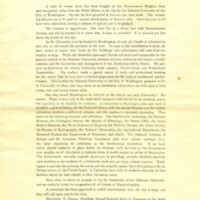 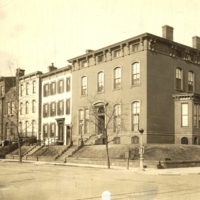 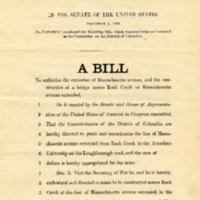 The American University purchased 1901,1903, 1905, and 1907 F Street in early 1920 to facilitate enrollment by federal employees. 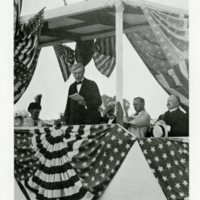 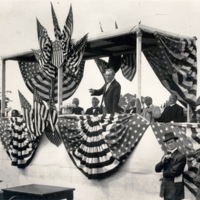 Bishop John W. Hamilton who gave the first dollar to found American University speaking at the Opening Ceremony. 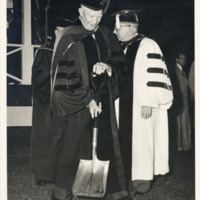 President Dwight Eisenhower breaking ground with a shovel as part of the Commencement Ceremonies at American University. 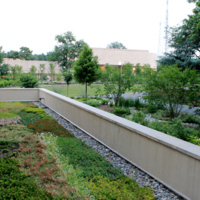 A photograph of the green roof at Katzen Art Center. 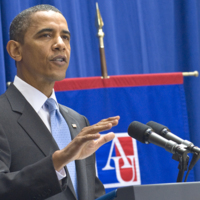 American University is classified as an arboretum in Washington D.C.